Have you ever had a view of Halong Bay, which is well known for its terrific beauty, with thousands of limestone structures and karst caves – from above. Every day, this charming place welcomes hundreds or even thousands of tourists. 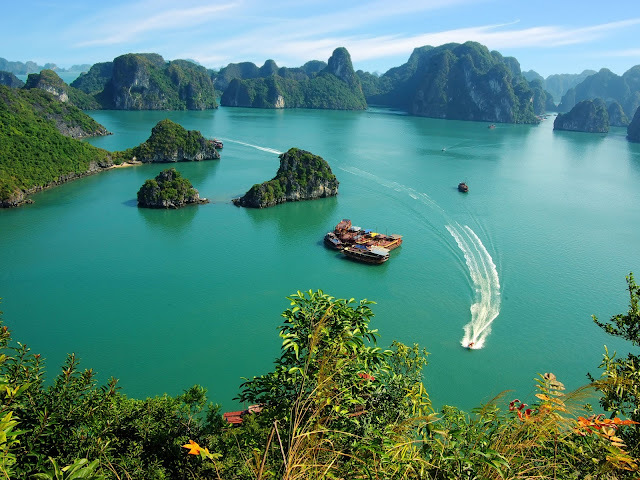 Cruising on boats, junks, luxury cruises, there are many ways to explore Halong Bay. However, from above – another vantage point, Halong Bay looks absolutely different. To get a stunning view of Halong Bay from this perspective, there are extraordinary ways. A seaplane tour, which is a truly magnificent way to bear witness to the charm of Halong Bay, must be one of the top fascinating things to do in this Bay. 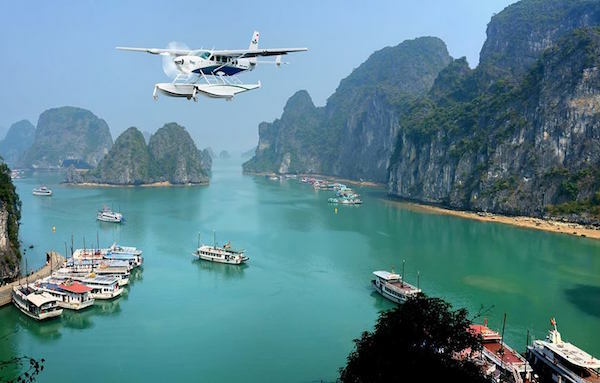 This 25-minute sightseeing flight, which takes off from the Tuan Chau Island Marina, will take in all Halong Bay’s highlights, with spectacular views over the gorgeous landscape of limestone pillars reaching up from the very green waters. Scattered all over the bay, these islands have diverse shapes which recall the passage of time, waiting thousands of years to seek justice in paradise and incite the imagination. As you admire this jaw-dropping charm from the highest view possible, the sightseeing tour will be unforgettable. The only company offering this great opportunity is Hai Au Aviation. 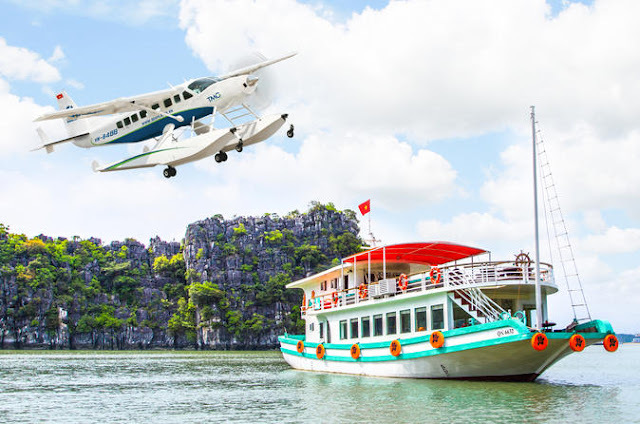 Traveling to Halong Bay from Hanoi by this kind of transportation, similar to seaplane tour, will certainly blow your mind. However, each flight’s price ranging from $7000 to $1500 will cost you. The price is fixed no matter how many people participate in. Due to that situation, traveling in a large group is much better. The more people join in, the much lower the charges. There are several tours offering a combo of many outdoor activities such as: rock climbing, swimming, kayaking and especially mountain trekking. Bai Tho Mountain and Titov Mountain are the top two hottest mountains checked in by a large number of both domestic and foreign visitors. While in Bai Tho Mountain, you can see the front of Halong Bay as well as the whole landscape of Halong city, from Titov Mountain, which is situated at the center of Halong Bay, you can also see the entire Halong Bay and a bit of Bai Tu Long Bay. 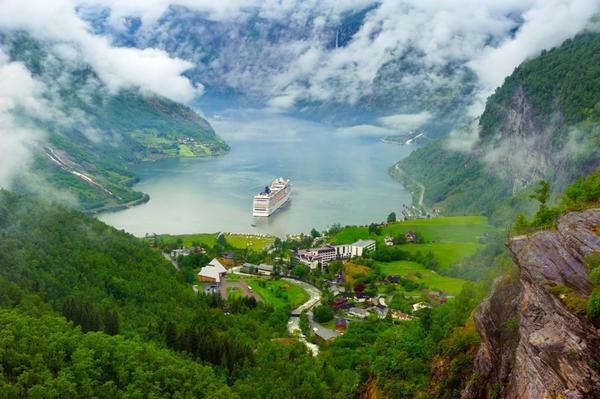 Each mountain has a different lovely sight. Six in the morning and four-thirty in the afternoon are the best times for the most stunning views as watching the sunrise and sunset is completely beyond comprehension from these viewing points. Fortunately, Bai Tho Mountain, which is just 200 meters in height and about a 30 minute journey, is not too bad of a trek to get to the top as well as also a perfect place to capture the most romantic couple moments. In operation from the beginning of July 2016, Queen Telpher is a new way to witness the beauty of Halong city and Halong Bay. This cable car system received two Guinness World Records for “The World’s highest telpher pillar” and “Largest capacity telpher cabin”. Queen Telpher was advised and designed by a collective of internationally reputed telpher companies from Austria, Switzerland. 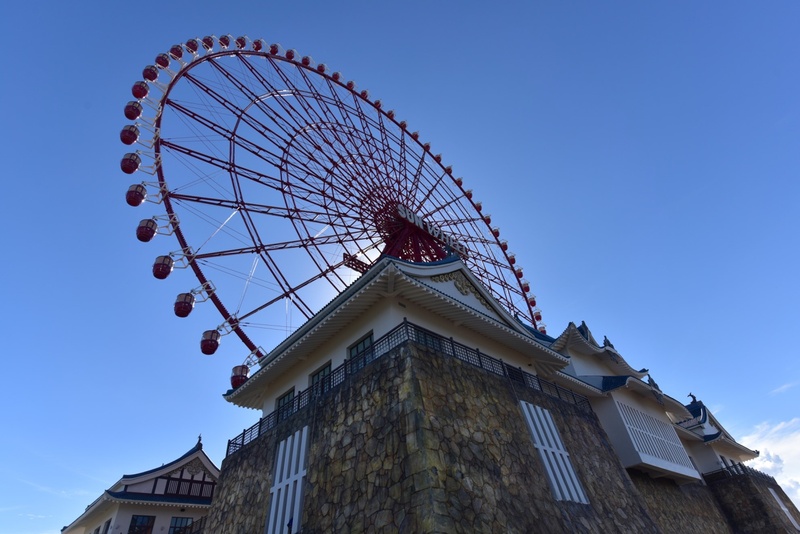 The system is approximately 2300 meters in length and 190 meters in height. Moreover, its cabins can carry 230 persons per car. Sun Wheel is a Ferris wheel of Sun World Halong Park located near Bai Chay bridge. If you too busy to explore Caves or have fun in beach at daylight, Sun Wheel is a good choice for you to have an above view of Halong in night time. When the sun goes down, the city is dazzling. Having some gossip with your friends and watching city at night are quite amazing. 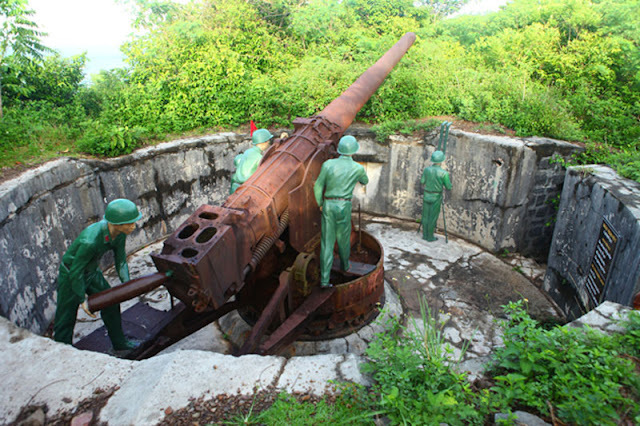 Last but not least, Height 177, which was formerly a French military observation and defense point, is also an amazing place on this list. This high point features huge shelter trench and cannons systems of indestructibility which were constructed in 1940s and used throughout the Vietnam War. This point of view, which is situated in Cat Ba Island, encompasses the panoramic view of Lan Ha Bay, a part of Halong Bay region. In addition to the stunning view to observe from, there are many interesting activities like trekking or rock climbing.